The taxonomy of Cannabis is debated. Some authors consider Cannabis sativa L., Cannabis indica Lam. and Cannabis ruderalis Janisch. 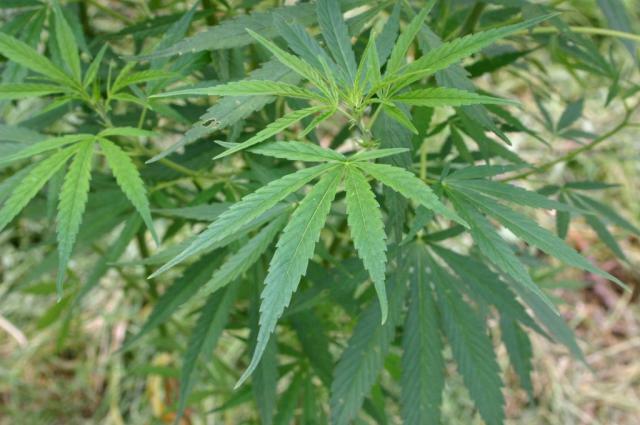 to be separate species while others recognise two subspecies, Cannabis sativa subsp. sativa and Cannabis sativa subsp. indica. Studies on cannabinoid variation tend to support that C. sativa and C. indica are separate species but more research is needed (Hillig et al., 2004). Varieties used for medical and recreational drug production due to the high levels of psychoactive chemicals found in their leaves, stems and flowers. 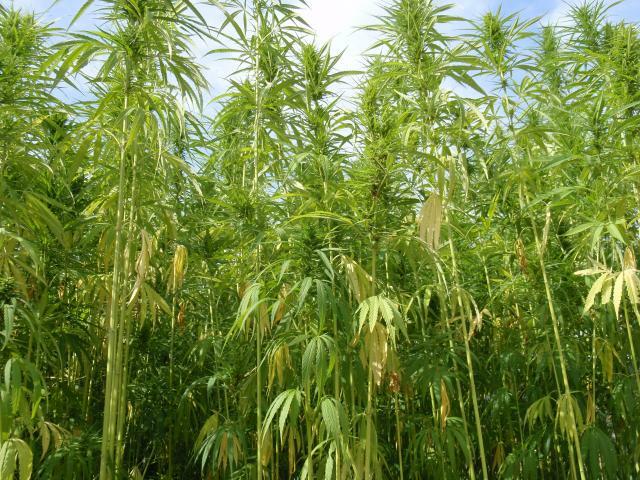 Industrial hemp varieties that contain very low levels of those substances and are grown for the production of fibre, seeds and oil. Due to the dual purpose of hemp, its cultivation is subject to legal control in many countries. Hemp fibre is extremely durable and was originally used to make strong materials such as ropes, canvas and fishnets. Now it also provides specialty paper, absorbant animal bedding, and is incorporated in composite materials. Cold pressure of the seeds provides a green edible oil, while a second pressure with heat gives a brown oil used in paints and varnishes or as a luminant. 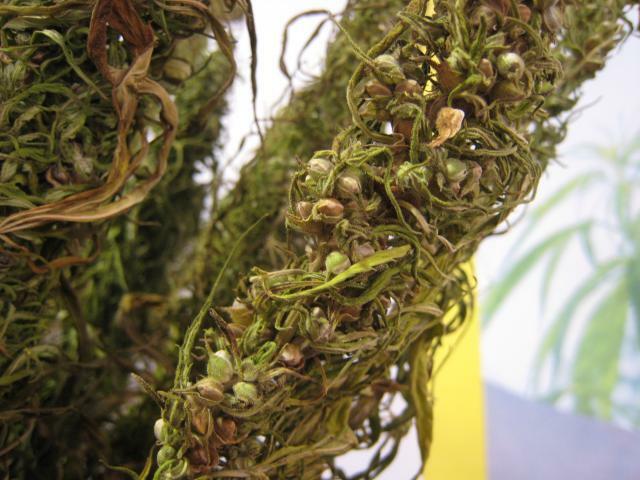 The seeds from industrial hemp are a common ingredient of birdseed mixes and are also used as fish bait. The oil cake resulting from oil extraction can be fed to livestock. 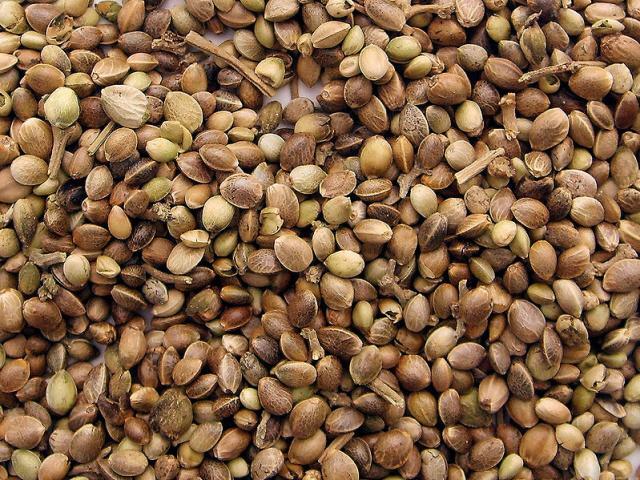 The seeds and oil can be also used for human food (Boutin et al., 2005; Ecocrop, 2010; Ecoport, 2010; eFloras, 2010; Göhl, 1982; Terres Inovia, 2015). Hemp is indigenous to Central Asia or China but is now widespread in temperate countries, nearly worldwide. It is a vigourous plant that grows best with average temperatures between 13 and 22°C and adapts well to different types of soils, in particular heavy, non-acid ones (Ecoport, 2010; eFloras, 2010). 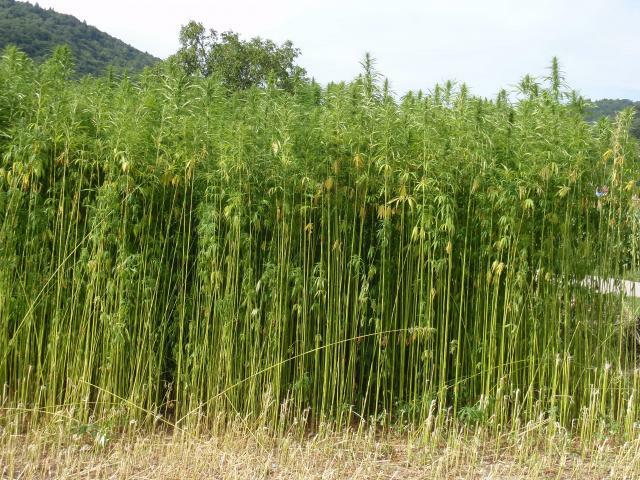 In temperate countries, industrial hemp does not require irrigation and herbicides, and needs relatively low levels of N fertilizer (70 N units/ha). 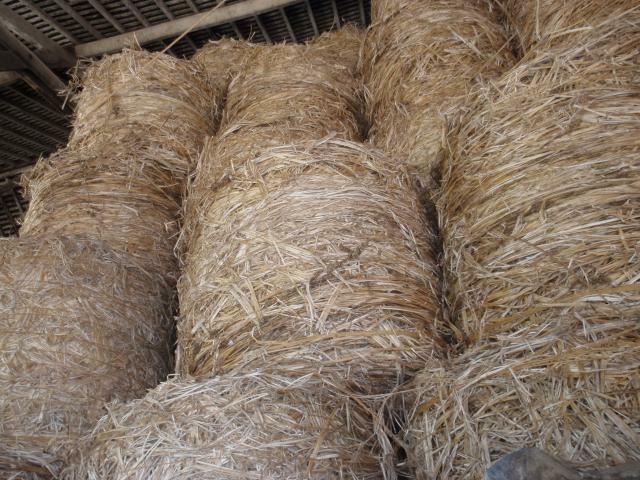 Using hemp fibre to create novel materials (such as polypropylene-hemp composite, or concrete-hemp building material) can have positive environmental impacts (Boutin et al., 2005). In countries where hemp is grown, the seeds are used for cattle and poultry as a concentrated energy feed. Hemp seed is relatively rich in protein (20-27% DM) and oil (36% DM). Hemp seed oil meal has a higher protein content (29-35% DM) and its residual oil content depends on the extraction method. Both products, and especially the oil meal, have a relatively high fibre content that limits their use, especially in pig and poultry feeds (Göhl, 1982). Hemp oil is rich in linoleic acid (C18:2, 53-60%) and linolenic acid (C18:3, 15-19%) (Yu et al., 2005). Hemp leaves, stems and flowers contain cannabinoids, psychoactive molecules that affect the central nervous system. Delta-9-tetrahydro-cannabinol (THC) is considered the most active psychoactive agent. Varieties grown for fibre and oil have much lower levels of THC (less than 0.2%) than varieties grown for drug production (Kahn, 2005; Terres Inovia, 2015). No pathological side effects have been reported for the by-products of industrial hemp. 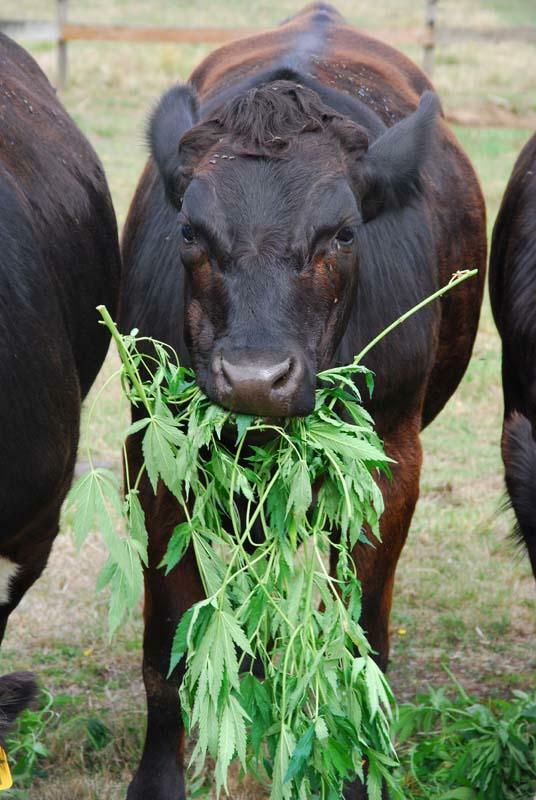 However, residues of ganja drug production consisting in dust, leaves, branches and burnt seed samples reduced feed intake and caused drowsiness, reduced activity and incoordinated movement in cattle, particularly when the residues were washed. Water treatment seems to have increased the concentration of psychoactive components, resulting in higher toxicity and lesser palatability (Jain et al., 1988). The oil cake has been used for fattening cattle (up to 3 kg per day) and adult sheep (0.5 kg per day) (Göhl, 1982). It is an excellent natural source of rumen-undegradable protein that is equivalent to heat-treated rapeseed meal. When substituted for rapeseed meal, hemp seed oil meal included at 20% of diet DM had no detrimental effects on feed intake or nutrient utilization by sheep (Mustafa et al., 1999). Hemp seeds have a high energy content, and are a traditional staple of mixes for pet birds because of their low cost. Seed-eating migratory birds are attracted to hemp fields at harvest time, and, in many countries, the seeds have been used as poultry feed (Khan et al., 2009). The high concentration of hemp seed oil in polyunsaturated fatty acids has led to renewed interest in hemp seeds and hemp seed oil meal for improving the quality of poultry products. In Pakistan, up to 20% dried and crushed hemp seeds have been used successfully in broiler diets and resulted in higher breast, leg and thigh weight. This positive effect has been linked to the combination of a good protein and lipid quality associated to other beneficial properties, such as the lack of trypsin inhibitors and the antioxydant activity of cannabidiol (Khan et al., 2009). Feeding broilers with hemp seed powder (at 20%) resulted in better feed conversion ratio, higher live-weight gain, lower age at slaughter, and lower mortality rate (Khan et al., 2010). In Iran, hemp seed included at up to 7.5% in broiler diets had no detrimental effect on performance, and reduced serum cholesterol (Mahmoudi et al., 2012). It has been possible to partly replace soybean meal by hemp seed meal in broiler diets. Supplementation of hemp seed meal at 1.5-9.0% had no adverse effects on immunological factors. Levels of 1.5-3% might promote B cell differentiation and maturation as well as immunity. Levels of 4.5-7.0% enhanced nitrogen utilization (Ma Li et al., 2007). The inclusion of hemp seed cake in the diets of fast-growing organic broilers (10% at 10-28 days, 20% at 28-70 days) did not affect production performance or mortality. No effect of hemp seed cake inclusion in the feed was seen on the number of Clostridium perfringens in the caeca. The high fibre content in the hemp diet resulted in inferior litter condition likely affecting the leg and foot health of the birds, resulting in lesser use of outdoor pasture (Eriksson et al., 2012). Several trials have concluded on the beneficial effects of hemp seed cake on the fatty acid composition of egg yolk. In Pakistan, supplementation of layer diets with 25% hemp seeds decreased egg yolk total cholesterol, and the content in monounsaturated fatty acids, while total and individual polyunsaturated fatty acids as well as omega-3 and omega-6 fatty acids increased significantly (Shahid et al., 2015). In Canada, feeding laying hens with up to 20% cold-pressed hemp seed meal had no effect on egg production, feed consumption, feed efficiency, body weight change or egg quality. Increasing dietary inclusion of hemp seed meal produced eggs with lower concentrations of palmitic acid and higher concentrations of linoleic and alpha-linolenic acids (Silversides et al., 2005). Likewise, the inclusion of hemp seeds in the diets of laying hens up to a maximum level of 20% did not adversely affect performance and resulted in the enrichment of the n-3 fatty acid content of eggs (Gakhar et al., 2012). In Germany, a trial with laying hens concluded that compound feeds with up to 10% hemp seed cake did not negatively influence laying performance but enriched yolk fat with n-3 polyunsaturated fatty acids (Halle et al., 2013). Feeding rabbits with hemp oil cake is possible but it has a moderate energy value for rabbits, due to its high fibre content that reduces diet digestibility. It does not have significant organoleptic effects on fresh rabbit meat (Lebas et al., 1988).